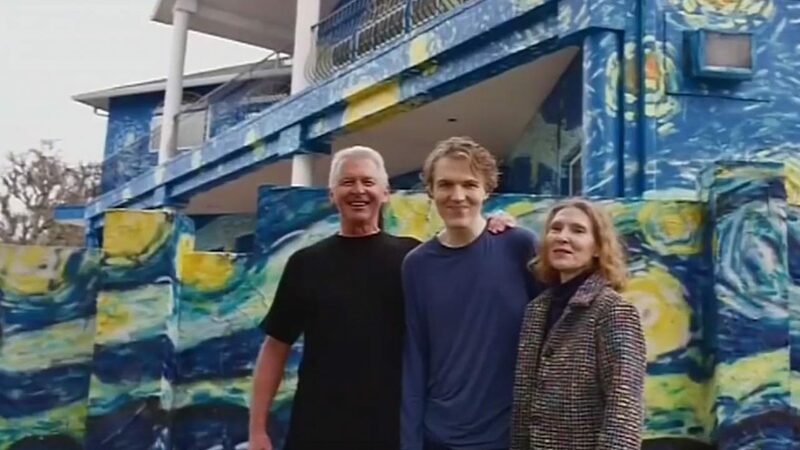 Home / News / They painted home like Van Gogh’s ‘Starry Night’ for autistic son — and got fined. Then it was on. 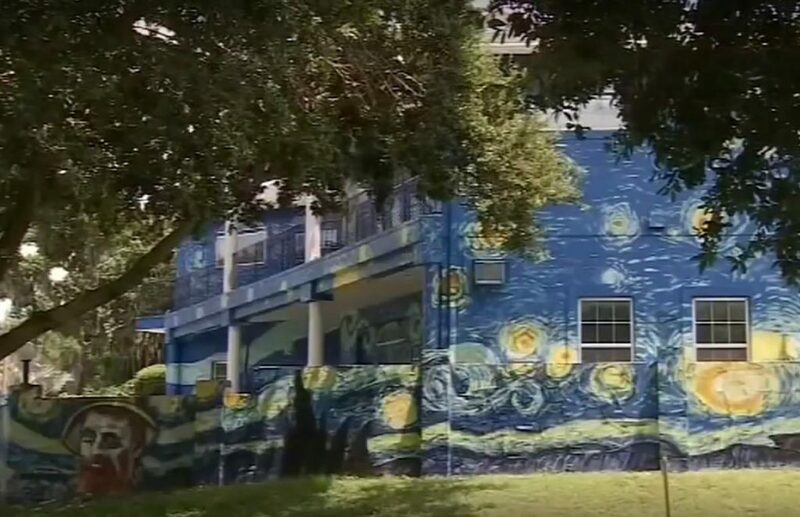 They painted home like Van Gogh’s ‘Starry Night’ for autistic son — and got fined. Then it was on. The idea was that the iconic swirling colors and surreal depictions of the night sky from Van Gogh’s masterpiece on their Mount Dora home would “relax” the couple’s adult son and be a beacon for him if he ever got lost, the Orlando Sentinel reported. But last year the city said the massive mural covering the exterior of the residence along Old Highway 441 violated code, which led to fines of more than $10,000 and a lien on the house, WFTV said. Nemhauser and Jastrzebski — a physicist who emigrated to the U.S. in the 1970s — filed a federal lawsuit claiming Mount Dora was squashing their constitutional right to free expression, the Sentinel said. After months of hearings — along with the federal lawsuit and research into recent free-speech litigation — Mount Dora decided to settle with the couple, acknowledging that city codes need more clarity, WFTV reported. 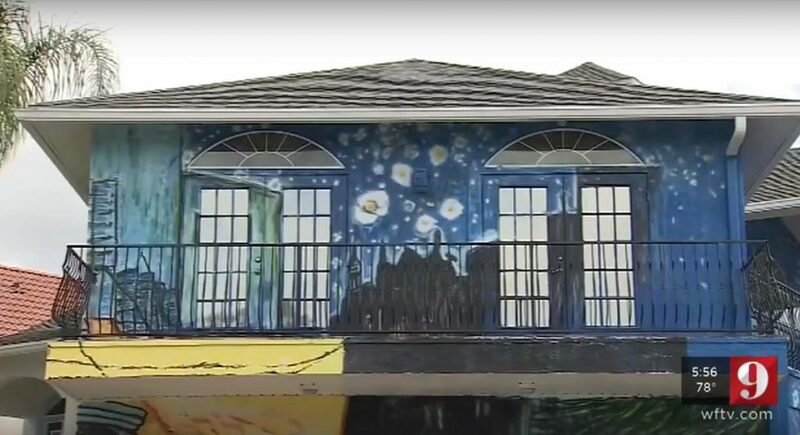 And City Council members on Tuesday voted unanimously to accept the settlement, which gets rid of the fines and the lien, awards the couple $15,000, and lets the “Starry Night” paint job stay, the Sentinel said. Oh, and another settlement term was an apology, which was delivered by Mayor Nick Girone at City Hall on Wednesday, the paper noted. [Girone] invited Nemhauser to serve on a seven-member advisory panel to be created to help develop new ordinances or codes “which are essential to the enhancement of the city of Mount Dora,” according to a city document. That was also part of the settlement. Regardless of any changes to city codes that could set house-painting rules, the “Starry Night” motif will be grandfathered in and allowed “to remain as is, so long as certain conditions are met.” They must keep the design “in good condition and protect against fading, peeling and other conditions that may contribute to deterioration,” Girone said. “With this matter behind us, this city wants to look ahead and focus on reviewing our present codes and to continue and embrace arts and artists with open arms since we are: ‘Someplace special,’” the mayor said, referring to the city’s nickname, the Sentinel reported.